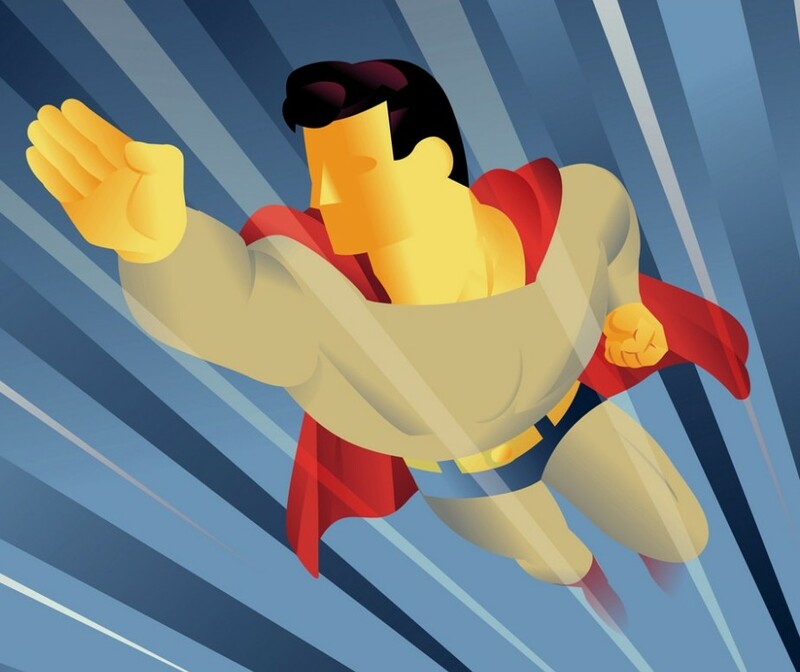 Television – Teach Like a Superhero! The fall television season is upon us, and it’s full of several shows (some old, some new) featuring superheroes. I’m waiting to see how these shows turn out and how the Netflix/Marvel deal transpires. On the surface, though, things look promising. Here’s a useful list summarizing all of the current, new, and future superhero and/or comic book-themed shows, courtesy of the fine folks at Newsarama. 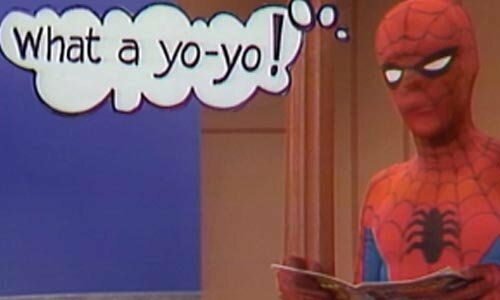 For now, I’d say the Golden Age of TV Superheroes was the mid-1970s to mid-1980s, which gave us gems like The Incredible Hulk, Wonder Woman, The Greatest American Hero, and Spider-Man on The Electric Company (with narration by Mr. March of the Penguins himself, Morgan Freeman). 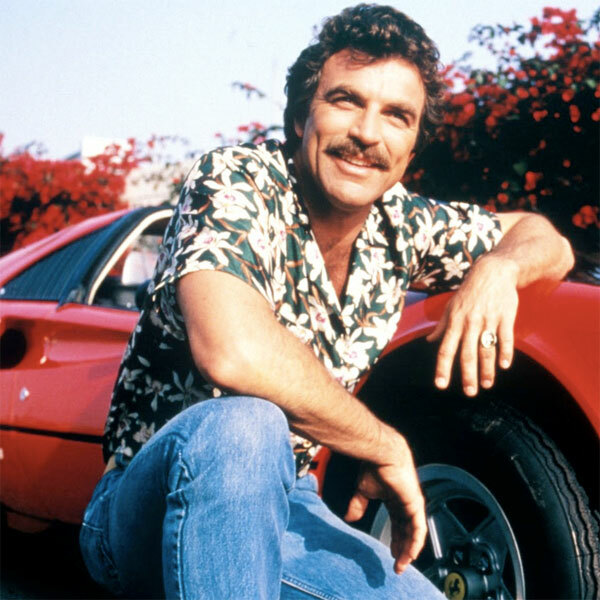 As a bonus, this era also included The Six Million Dollar Man and The Bionic Woman, and preceded the wave of cool-vehicle-based shows like Knight Rider, Airwolf, Street Hawk, and Magnum, P.I., which featured the one-two combo of a Ferrari 308GTS and Tom Selleck’s mustache! ‘Stache trumps the car every time . . .
Getting off topic here, so let’s talk about television and teaching. How do you use TV and videos in the classroom? Shameless plug: I’ve done a little writing in the past about using movies and video clips to enhance science lessons. You can read a little bit about that here and here. 1. Decide WHY you need the video. What does the video do that you can’t do in another way, including hands-on experiences, interactive presentations, collaborative discussions, outdoor investigations, role-play scenarios, and more? Sure, using a video clip is easy because you can pop in the disc or click on the computer. But what materials and activities will create the most meaningful and memorable learning? If it’s a video, then go for it! 2. Make it an active, not passive process. Related to #1 above, students should not just act as passive audience members during the viewing. Give them something to do while they watch. Observe and categorize specific attributes, list examples and/or questions, answer questions or prompts on a handout. With the handout approach, be careful that you don’t make it a scavenger hunt for trivia. If you do, students will pay attention to those tidbits only and not benefit from the overall experience. If you want them to complete a handout, be sure you emphasize just a few key concepts so students don’t get bogged down looking to fill in a mundane list of blanks. 3. Decide WHEN you should show the video. Videos are more than “rewards” students can enjoy at the end of a unit or after a test. What’s the value if you wait until then to show it? Instead, reflect on your unit sequence and consider when a particular video best serves the students’ learning. You could use it as an eye-catching opening, part of an introductory pretest or puzzler, a formative review or extension, a prompt for homework or application, or even part of a summative assessment. Very rarely should something as dull as a “movie day” occur in your classroom. A common rule of thumb in education is no activity or task should last longer than 20 minutes during class. By breaking things up, teachers can help students stay focused and motivated to learn. The same goes for video clips. Stick to showing the key scene or segment that matters, which may only be a couple of minutes at a time. Furthermore, when using a clip from a popular movie or television show, I never show the ending. Sometimes I don’t even show the end of the scene, leaving the students with a cliffhanger and spawning a chorus of disappointed groans from the class. But consider how much this motivates them to think further after class is finished. What parent wouldn’t be thrilled if their son or daughter asked them to check Netflix or take a trip to Family Video so they can finish a movie they first saw in school? Bus jump from “Speed.” Will Keanu and Sandra make it? Let’s do PHYSICS! Another reason for using a specific clip is to edit out any superfluous or inappropriate content. Speaking of which . . .
5. Get parental and principal approval. When using any entertainment-based media, or even educational materials that may be controversial, plan ahead and check with your supervisors (principal, department chair, etc.) to see if they have any concerns or advice. At times, they may recommend sending a note or email to students’ parents/guardians so everyone is clear on the content and purpose of the media. And for any sensitive topics, it provides the opportunity to opt out if anyone objects. It also is helpful to have a back-up activity or alternative task for those who may not watch the video, whether by choice or by circumstance. All kinds of stories exist about the proper use of media by teachers and threatening lawsuits from corporations. If you’re not sure what is okay or not okay about using media, check with your school’s media specialist (a.k.a. librarian), who usually knows the latest. Also, here is a terrific resource for teachers regarding copyright and “fair use” guidelines, provided by TechLearning. I’ve saved this PDF onto my computer and printed copies to keep in my teaching binders as a quick reference. So will anything from the current crop of Superhero TV shows be worthy of classroom use? Tune in to find out!